Nowadays, maximising every nook and cranny of your luggage seems like an art. If you surf through travel blogs and social media sites, it won’t take long before you see cool travel hacks that actually work. Here are some of our favorite hacks that’ll help you discover your luggage’s full potential and organise your stuff better. Make sure to bookmark this blog post for your future travels. Rolled-up shirts and pants take less space than those that are folded flat. Plus, this trick helps prevent wrinkles, which is especially helpful if the place you’re staying at doesn’t provide ironing services. You don’t want to stroll along city streets looking like you just woke up and stepped outside without changing clothes. Who would want to get shoe dirt on their clothes when packing? This is why putting a pair of shoes inside a shower cap is a neat idea. You don’t need plastic bags or bulky paper bags to keep your clothes clean. And because of the shower cap’s shape, you don’t have to fold the plastic bag or tie it up to make sure the shoes won’t fall off even after a bumpy flight. A girl has to have her accessories, even when travelling. To make organising jewelry items an easy job, attach a pair of earrings on a button. This way, you won’t have to rummage through your jewelry bag or case for the other pair. It makes dressing up a breeze even if you’re miles away from your dresser. If you’re packing clothes for a business trip, place a rolled-up belt inside the collar. It helps prevent an out-of-shape collar and makes it easier for you to find your belt in case you need to suit up quick. You’ll also be able to save space because you’re basically putting the belt inside the collar space. During short trips like overnight stays, you won’t really finish up all that shampoo or toothpaste from those travel size packs. And even though they’re “travel size,” they can still take a considerable amount of space inside your toiletry kit. To maximise luggage space, reuse eyedroppers, contact lens cases, and even tic tac boxes for make-up, toothpaste, cotton buds, and hair accessories such as clips and pins. They’re quite small and can be easily sealed tight to prevent messy spills. Stuff socks and other small items that won’t leak or spill inside your shoes before placing them inside a shower cap. 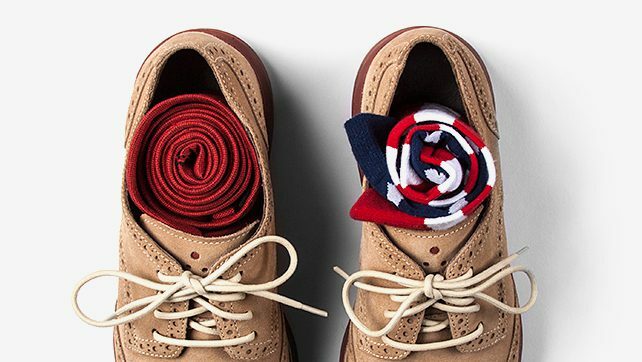 This time-proven trick helps save luggage space and prevents your shoes from losing their shape. That tube of lip balm reused to store your hairpins, a medicine bottle filled with cotton buds, and your small box of jewelry will fit in perfectly inside your sneakers. Storing your razor can get tricky. You don’t want anything snagging its sharp blades, and you don’t want to cut yourself while rummaging through your toiletry bag. 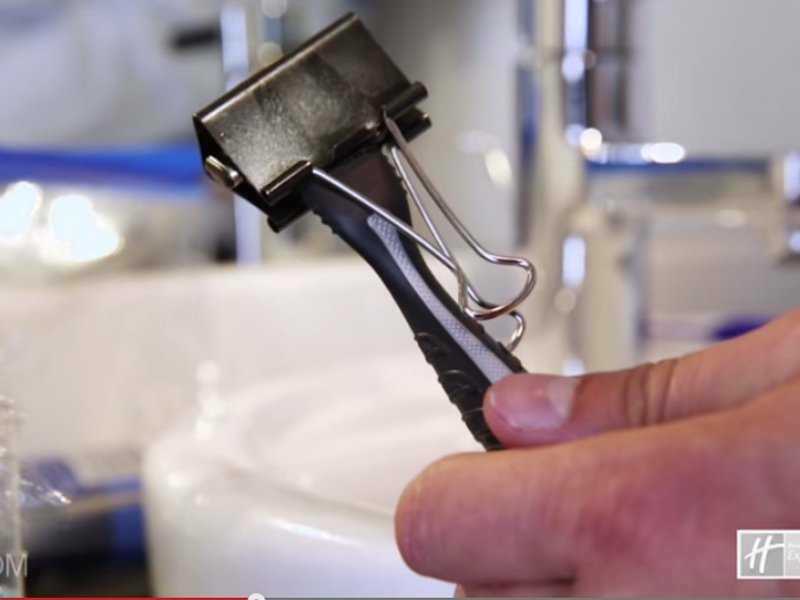 To make your life easier, attach a binder clip to your razor’s sharp edge. This protects the blades from snags, making it easier for you to grab your razor in a jiffy. Check out this DIY tutorial on how to make your own soap pouch out of an old towel. With this nifty hack, you don’t have to separately store the soap and soap cloth. Plus, it’s easier to scrub yourself clean with this DIY pouch. Simply wet the pouch, squeeze it a bit to make the soap inside it lather, and scrub away. With the increasing costs of luggage check-ins, it’s best that you maximise luggage space by trying out these ingenious hacks. If you can fit all your stuff inside a smaller luggage, then the more money you’ll save when checking your bag in at the airport. For more savings on your next trip, don’t forget look for long term airport parking that’s just minutes away from the airport. Get a good deal by choosing a parking depot that provides free shuttle rides to and from the airport and 24-hour security.